My father, The Little League, and Doing-The-Right-Thing form the crux of “The Goy Boys,” a story sketched on the canvas of New York City, its mix of ethnic groups with their clashes and compromises, and the friendships formed from bumping cheek-to-jowl. A hard copy of this father-son tale, among other entertaining stories, is available within the pages of the PATCHWORK PATH: TREASURE BOX anthology. His words confirmed Dad’s insistence an Irishman tiptoed around the corner in his best friend’s Jewish soul. A smile lingered on my lips–if not in my heart, not then–at the thought of Irv’s hidden Hibernian. We were clustered next to the crowded bar at Dunne’s Pub, a half-block from Benson’s Funeral Home. My Cousin Paul and I followed Irv’s lead with our pints. I stared at the amber brew, at the workingman’s champagne through the curved glass as the rims tapped, and gulped down a long swallow. Several in the nearby crowd, men I did not know who knew Franky, raised their glasses or bottles to our toast. Smoke curled from the cigar stub jammed in the corner of his double-chinned grin; New York City’s “No Smoking” rules lurked some years away in the future. His tale began, and those moments with Dad reached across the decades to brush-up against me. Franky loved baseball. No surprise his father‑worshipping, eight-year old son loved baseball, too. The local Little League, the only game in town, was founded by the neighborhood’s Jewish dads. As yet, no CYO league team existed in the St. Nicolas of Tolentine parish. The good Fathers of St. Nick would be in for some interesting times. Dad showed up at the twilight conclusion of the spring tryouts in Kissena Park, the only father from the Pomonok Project to appear. The newly built housing, constructed for World War II vets, was a “Culture Shock” precursor. Three-thousand working class families, mostly Whites, many Blacks and Latinos, had dropped from the sky to land next to an upper middle-class neighborhood of Jewish businessmen and professionals. The mid-spring baseball ritual plucked the creamiest of the crop from the project and integrated them into the existing teams. The League officials had finished assigning coaches to various groups of eight-to-nine year olds scattered around four baseball diamonds–except our group of Pomonokers and two kids from the surrounding neighborhood, who had fielded candy-hop grounders like the baseballs were live hand grenades. One of the coaches was stooped over in front of a backstop. We, the “kids over there,” watched the nearby discussion. I imagined the eyes of my fellow rejects boring holes into the back of my crew-cut head. I slouched, hoping to shrink low enough to disappear into the grass blades. Former Seaman Irving Meltzer grinned, and planted the cigar back in his mouth. He dug-up equipment, battle scarred and teetering on the edge of retirement–a little from this team, some from the other. Rejects like us, the gear required as much TLC and polishing. The uniforms arrived half way through the season, compliments of Swain’s Radiator Service and Swain himself, another future buddy of Dad’s. Frank went to work creating a TEAM, all caps; three practices a week, not just the one scheduled on a reserved Kissena Park diamond. Each additional practice required us to scour for an unused field, not always possible. Some days, we practiced grounders and pitching on a long strip of open grass. No assistant coaches stepped forward; Dad organized the players strongest in one skill, taught them how to instruct and drill others. Each player had a strength; each player had a shot at DI, Drill Instructor, which kept the domineering to a minimum–each player except Ira Rosenstein. He made every practice, though. Dad encouraged me to run interference for him against the taunts of a few less patient teammates. Ira’s perseverance paid off, and my task eased as he gained ground, step by painful step. Dad nicknamed him “Chesty” after Chesty Puller, a Marine Medal of Honor winner who never gave up. And Ira’s reward? He played at least one inning every game, with a time at bat, much to the chagrin of those same few teammates. We practiced our hearts out, played with Dad’s same “gung-ho” spirit. By the last scheduled game, “The Bunch,” a.k.a., the “Goy Boys” as Irv later admitted the other coaches labeled us, were tied for first place. Frank expected a playoff game. The coaches decided otherwise, miffed at the upstarts from Pomonok. They declared the season “already too long,” and outvoted Irv and Dad. They assigned “The Bunch” to the oblivion of second place. The hallowed auditorium of PS 201 held the awards night. Teams clustered together, away from the many parents sitting off to the sides. Every kid wore his team’s cap. Ours were Royal Blue, our official name the “Royals.” We preferred The Bunch, or simply, the team. The background hum of voices lessened. Young bodies straightened and peered over seat backs like a community of prairie dogs popped out of their burrows, all the brims of their baseball caps turned toward the coach gripping the silver talk of a floor stand microphone. Behind him, two foldout tables, end-to-end, supported a dozen or so cardboard boxes; a “Kissena Little League” banner draped across the front of the tables. The speakers blasted, “Ladies and gentlemen….” The squeal of feedback drove the eight and nine-year olds into peals of laughter and hoots. One of the coaches disappeared stage-left, and reappeared with a thumbs up. I tuned out, troubled Dad was nowhere on the stage. The coaches sat in a semi-circle of folding chairs behind the tables. The head of the Little League droned on awhile, thanking this person, thanking the other. The twitching of the younger audience members, the commotion of their higher pitched voices increased with each of the speaker’s passing words. At the rear of the auditorium, a metallic clatter announced one of the entrance doors had opened. I turned to see Dad with Mr. Rosenstein, each carried a large cardboard box. I nudged Ira. The men walked past us, down the aisle and up the steps at stage-right to plop their burdens onto the floor at one end of a table. Dad joined the coaches. Ira’s father returned to sit in the audience. He winked at us when he passed. Taback held the mike, gazed upon the squirming Little Leaguers, and wisely proceeded ASAP to the business of distributing the medals. The Navy capped players stampeded from their seats on his call to mass at stage-right. The steps filtered them into a single line; they filed by their coach to receive a medal and a handshake. Goal accomplished, they crossed to the stage-left steps and returned to their seats. Several players wiggled their flat, six-by-four inch boxes with gold medal at The Bunch. Despite my best effort to look nonchalant, my jaw line tensed. Dad’s turn at the microphone arrived; he waited in silence for a semblance of calm. The sight of his lone figure, the missing amplified voice caught the crowd’s attention, quieted them. “And now the awards for…,” he paused, a long one, “the second place team. Will The Bunch please come up to the stage?” He lifted the boxes from the floor, placed them onto the tabletop. Their curiosity aroused, the folks in the auditorium stirred. The Bunch barely noticed in our excitement to get onto the stage. The official silver medals paled in comparison to the trophy Dad handed us. The Royal Blue T-shirts with “The Bunch” emblazoned across the front was a nice touch. Forget about walking, we floated, trophies in hand, back to our seats, the flat containers with their measly, silver medals stuffed in our back pockets. Ira drifted one rung higher, on Cloud-10. He joined his father, both of them all smiles. Dunne’s Pub re-emerged. 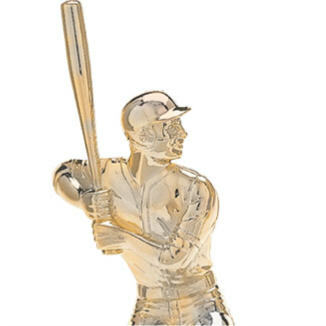 The murmurs of conversations, the raucous cheers at the baseball broadcast from the overhead TVs, hundreds of reality’s intrusions brushed aside the vale of images Irv resurrected with his Award’s Night Surprise. Yep, two strong men, intelligent, committed to their families, loyal to their friends. Working class guys who battled through the Great Depression, the thick of it in WWII, men with a real sense of community who worked hard to do the right thing for their families, God and country (I know, how cliched, but cliches are real.) Uncomplicated men, no drama, no sense of entitlement nor elitist arrogance (right or left wing), what you saw is what you got. The Greatest Generation, indeed. We really are in desperate need of such men today.